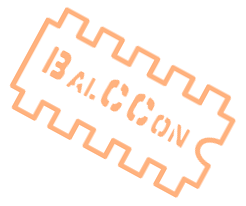 BalCCon has been organized by the community and appreciates all kinds of participation. You were encouraged to contribute to this event by volunteering. The Congress would not be possible without many people donating their time bringing the Congress to life and dealing with all the side effects of bringing thousands of hackers together in a congress centre. if you would like to help us on site. Application deadline - 1st September 2016!!! A big thank you for applying for volunteering at BalCCon 2k16.